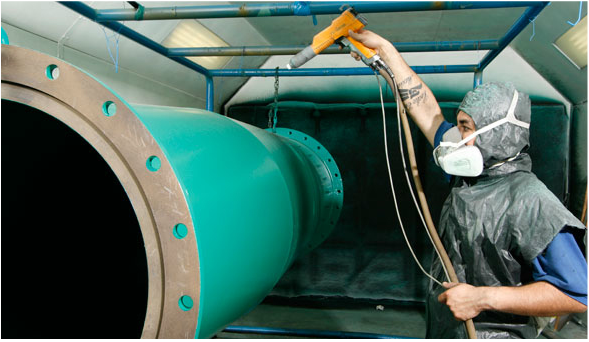 3M™ Scotchkote™ coatings is the primary corrosion defense for protecting their pipepline investment. Scotchkote fusion bonded epoxy coating is tough. Durable. Field-proven. It's more than just a superior pipe coating - it's a vital element in the gas and oil pipeline network. Typical pipeline applications include internal and external coatings for natural gas, petroleum, water and sewage, as well as pipe systems for refineries, petrochemical plants, power plants and paper milles. From the moment a pipe is coated in our Scotchkote™ fusion bonded epoxy coating and installed in the ground or in the sea, maximum corrosion protection is assured.